Come dressed in your most unique, Arabian nights outfit… we encourage you to get creative! We are announcing all Cheer & Dance Scholarship students for the year, Spirit & Most improved awards, and more! This is a chance to celebrate the year that was, say thank you to lots of special people & relive the wonderful year that has been 2018 at Outlaws All Stars & Dancers Edge! 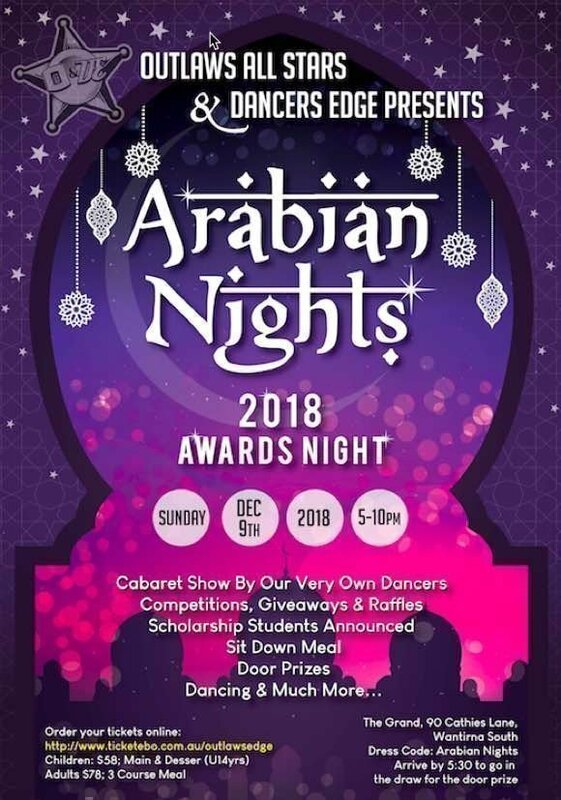 Come dressed in your most unique, Arabian nights outfit; we encourage you to get creative! Arrive by 5.30pm to go in the draw for the door prize.